Economic Council (ECNEC) Wednesday approved various projects relating to climate change, energy, health, and higher education sectors. 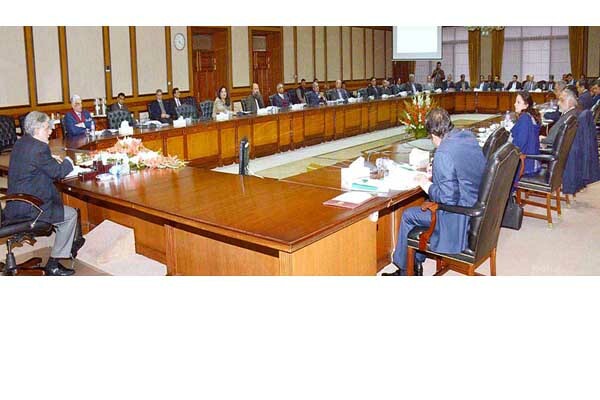 The meeting of the ECNEC was chaired by Finance Minister, Senator Mohammad Ishaq Dar. ECNEC approved the project regarding Green Pakistan Programme- Revival of Forestry Resources in Pakistan at an estimated cost of Rs. 3652.142 million. tree species along canal and road sides in Punjab, Khyber Pakhtunkhwa and Sindh, Olive and Kikar Phulai forests in Kala Chitta, Pabbi Rasul and Fort Monroe in Punjab, Mangrove forest in Sindh, Juniper in Balochistan and plantation to check erosion in GB and AJK. Projects of Expanded Programme of Immunization (EPI) Balochistan at a total cost of Rs. 4,998.91 million with foreign exchange component of Rs. 713.93 million, Expanded Programme of Immunization (EPI) Khyber Pakhtunkhwa at a total cost of Rs. 6,493.55 million including foreign exchange component of Rs. 1, 260.00 million and Sindh Immunization Support Programme (SISP) at a total cost of Rs. 8, 048.92 million including foreign exchange component of Rs. 2, 730.00 million were approved by the ECNEC. for already approved 1230 MW (Gross) Combined Cycle Power Plant at Haveli Bahadur Shah and 1223 MW (Gross) Combined Cycle Power Plant Balloki. Scholarship Programme under US-Pakistan Knowledge Corridor (phase-1) at a rationalized cost of Rs. 18, 810.916 million including foreign exchange component of Rs. 17, 714.698 million. Under this segment of US-Pakistan Knowledge Corridor, HEC will send 1500 PhD students to top ranking US universities. for taking GRE, TOFEL tests and proposal writing to assist students in seeking admission in US universities. ECNEC directed HEC to ensure participation of students and scholars from all over the country on merit. ECNEC also approved HEC proposal for establishment of Sub Campuses of Public Sector Universities at district level at a rationalized cost of Rs. 5, 206.28 million. Under this project, campuses of universities will be set up in districts where no such facilities exist so far. Project with the direction to WAPDA to formulate proper policy guidelines in the light of the Ministry of Water & Power recommendations and to adhere the timelines.